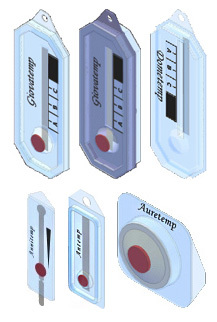 It is generally difficult to choose between disposable temperature indicators and temperature recorders. First, it is important to think about your use. Min-max thermometer or temperature indicator? Which solution to choose? Often used in refrigerators and freezers, min-max thermometers, give you the minimum and maximum temperature of refrigerators and freezers. Now exist the time-temperature single-use indicators, that allow you to have a notion of time of your break in the cold chain. In case of incident of your devices, you can take better corrective actions. 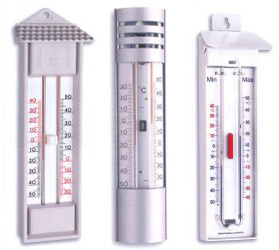 The minima - maxima thermometers are commonly used for temperature control, in refrigerators and freezers. They allow you to know the maximum and minimum temperature reached during your absence. They are reusable and their cost vary according to their size or design, usually 15 to 30 € tax excl. The temperature indicators are commonly used for temperature control during transportation, the manipulation and also in refrigerators and freezers. Practical and economical, they allow you to check whether your cold chain has been respected or not, as well as gives you informations about the exceeded time of the approximate temperature. For some models, it is possible to keep archivable evidence. They are disposable and their cost vary according to their ability and quantity. Starting from 0.49 € tax excluded, up to 3.2 € tax excl. per unit. Activation serves to ensure that our devices do not start alone, in case of exceeding their temperature. Our time - temperature indicators can be activated and this allows us to supply customers without logistical constraint and economically because they do not require any, under cold chain, transportation. Freeze IndicatorThanks to the activatable function, we avoid the risk of self-activation during delivery to our customers in winter (eg in case of frost) and also in their warehouses. Furthermore our clients have less logistical constraint even at home. The irreversible system of our devices certifies that the signal does not go down if returned to authorized temperature. Our indicators are irreversible, because the information can not be modified by a third party (carrier, delivery man, ect.) Once activated, it monitors the proper functioning of the cold chain until the destination. We know if the cold chain has been respected and in case of incident, we can additionally have a timeout estimatation. Easy proof for some models! One more "plus", some temperature indicators allow you to keep archivable evidence, after the use. They are oftenly required for quality procedures as: HACCP, Pharmacovigilance, Hemovigilance etc. Temperature recorders are commonly used for control of the temperature in storage places: cold, negative chamber, refrigerators, freezers. After using a temperature curve, enables you to view the results from your storage facility. They are reusable and their cost vary according to their performance, generally their price starts from 72 € up to 400 € tax excluded. In conclusion, the two solutions have different applications. The recorders are used in cold rooms (positive and negative). During the delivery cycle, it creates heat spikes that trigger the temperature indicators. The TTI are the ones most used in refrigerators, freezers and parcels for transportation under controlled temperature.